Please be on the lookout for this dangerous new email that's going around. It's a brilliant new social engineering phishing scam. 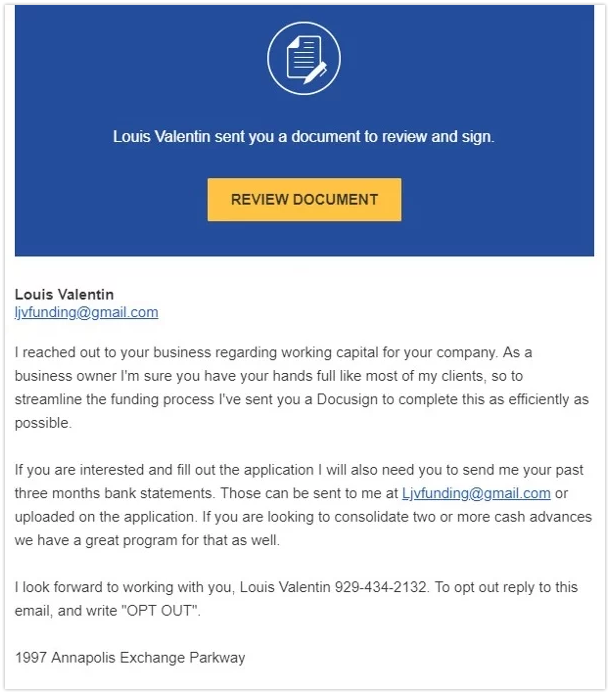 It will sail through all your spam / malware filters and email protection devices, because it's entirely legit by using the DocuSign infrastructure. It's a prime example of an info grabbing phish that does not use a malicious payload. 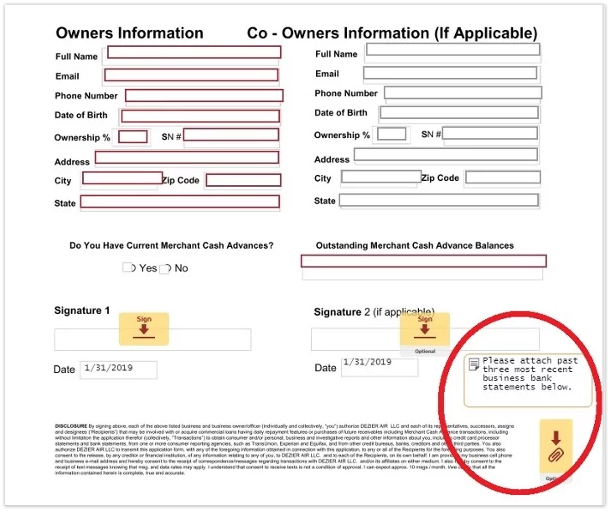 Clicking on the yellow "Review Document" button gets you to—again an entirely legit—DocuSign page, which requires you to fill out the form as per the normal process. Here it is broken up in two parts. The top half is more or less normal for a loan application. But wait, the second half really takes the cake.